When you serve guests a casually-thrown together salad from seasonal fresh ingredients and it’s still being raved about a year later, then maybe it’s time to try and recreate the salad and share the recipe! 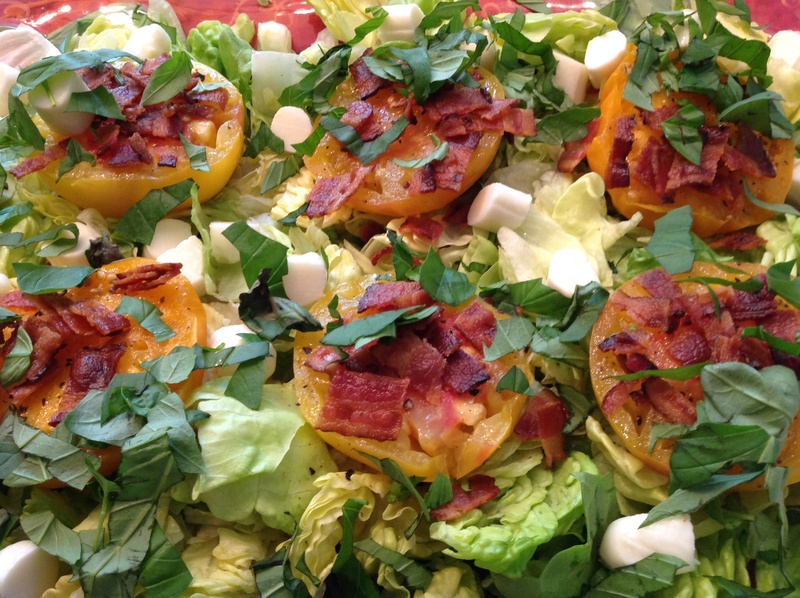 This salad is a cross between a Caprese salad and a BLT sandwhich. Sooooooo delicious! 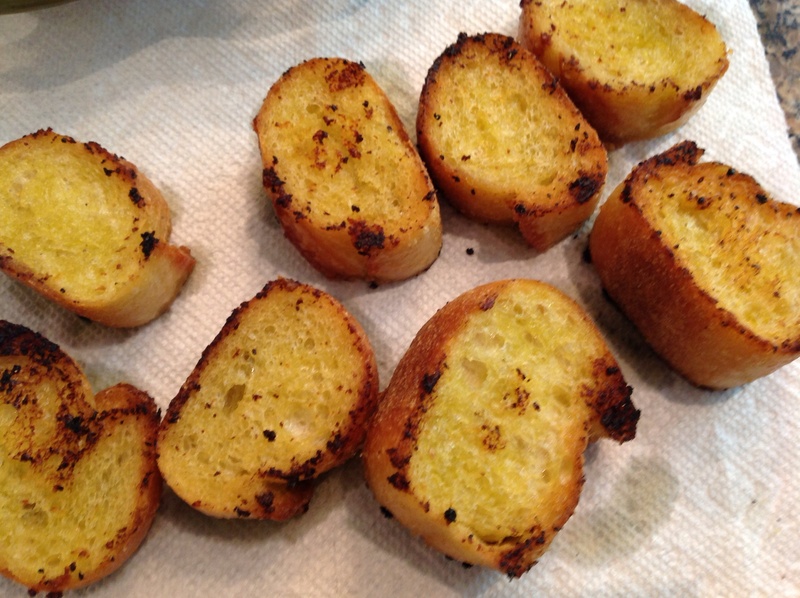 The homemade croutons are a must. Hope I got it exactly right for you Millie! LEMONY GARLIC DRESSING: Wisk together juice and zest of 2 lemons, 2 t Dijon mustard, 3 cloves of garlic crushed. Gradually add in 1/2 c olive oil. Season with salt and freshly ground pepper. Add 1/2 c sour cream, optional. 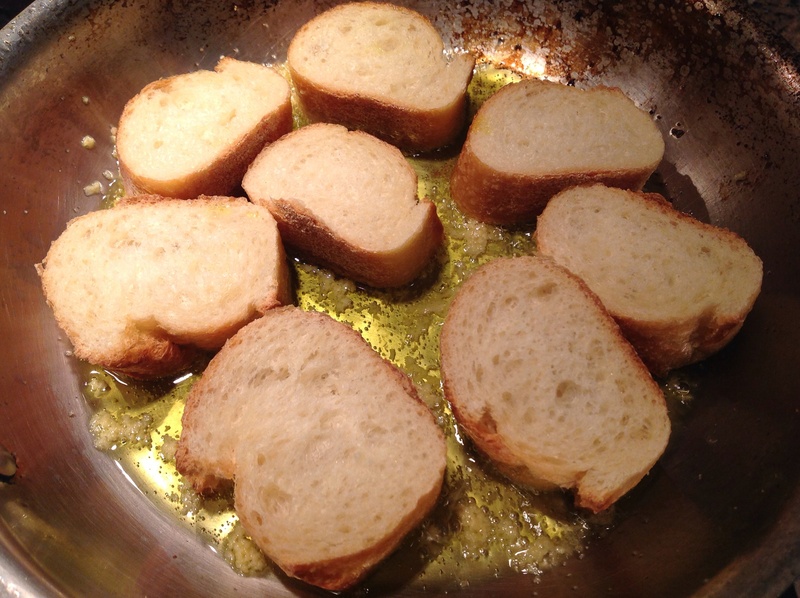 TO MAKE CROUTONS: Heat oil in skillet on moderate heat setting, add garlic, and brown the baguette, turning once, until golden on both sides. You don’t want the croutons too dry. Be very careful not to burn the garlic. 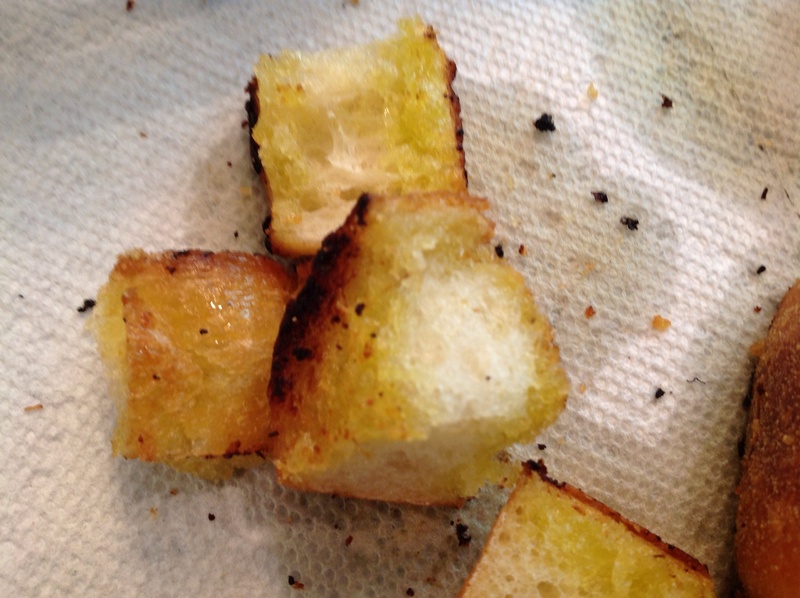 Let cool on a paper towel and cut each slice into 4 croutons. On a rimmed serving platter, spread the lettuce evenly. Place the 6 tomatoe halves, cut side up, on the lettuce. Season the tomatoes with salt and freshly ground pepper. 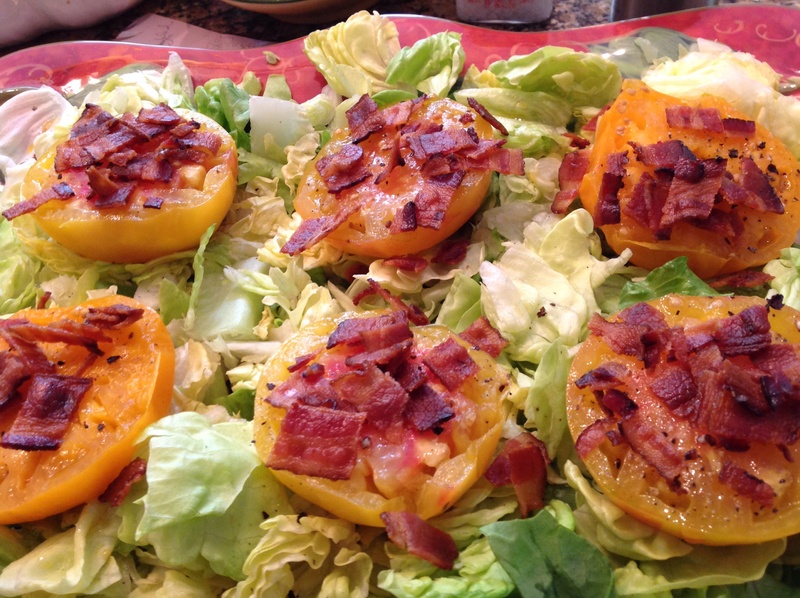 Sprinkle bacon on top of each tomato half. Distribute the mozzarella evenly and sprinkle the basil over all the salad.Top with the croutons . Add the avocado if using. When ready to serve, crown with a drizzle of the creamy lemony salad dressing with more on the side. Use a wide spatula to serve a tomato half, cut side up, to each guest. A lively combination of fresh, seasonal ingredients. Summer in every bite! 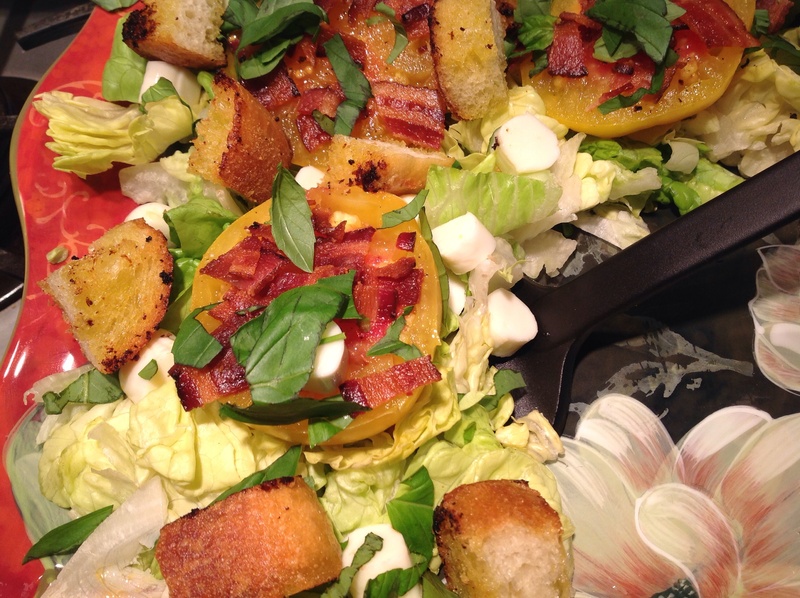 This entry was posted in Uncategorized and tagged blt salad with fresh mozzarella and basil, Heirloom tomatoe salad with bacon by Johanne Lamarche. Bookmark the permalink. 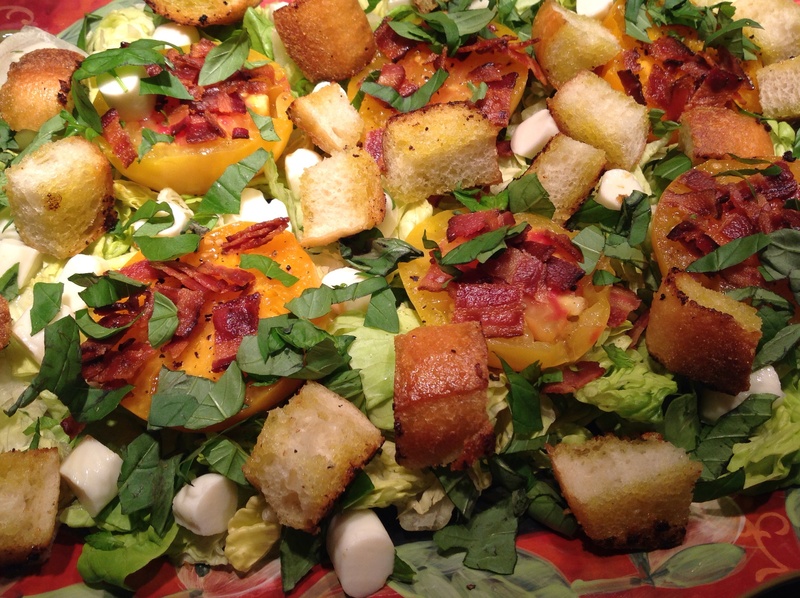 This salad brings back fun memories of our visit to your home last Summer. It was served as part of our first meal together upon arriving at your home. It was not only Delicious, but beautifully presented……just like your pictures now!!!!!!!! Was more fun sharing it with you last summer! Wish we could do it again!!! Including Adam! I hope you like it as much as she did, Dana! I am ALL over this!!! I’ve been growing basil this season, and I’m just itching to use it in as many dishes as I can. 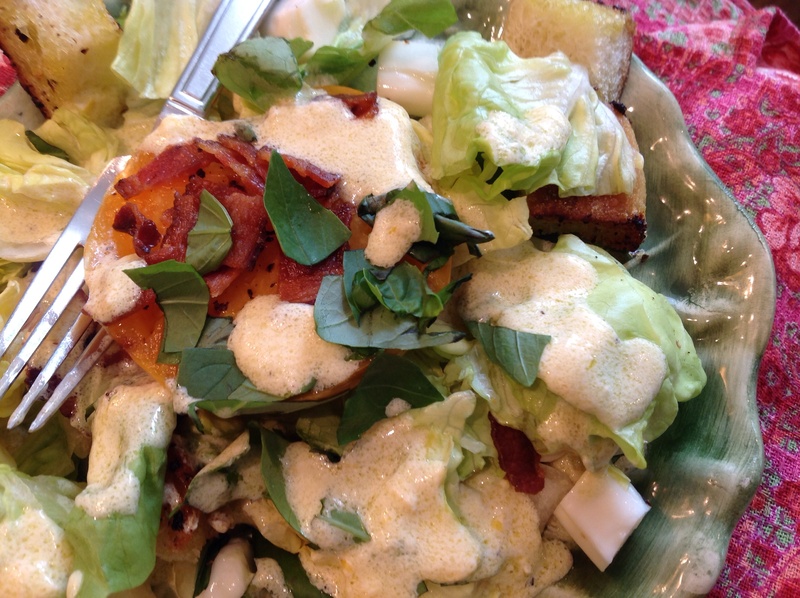 I had a BLT earlier this week, but a BLT salad sounds even better…especially with fresh croutons! Pinning!!! Is there anything more yummy than a BLT? Not much and I love how you have incorporated the concept into your salad. Perfect for summer evenings.